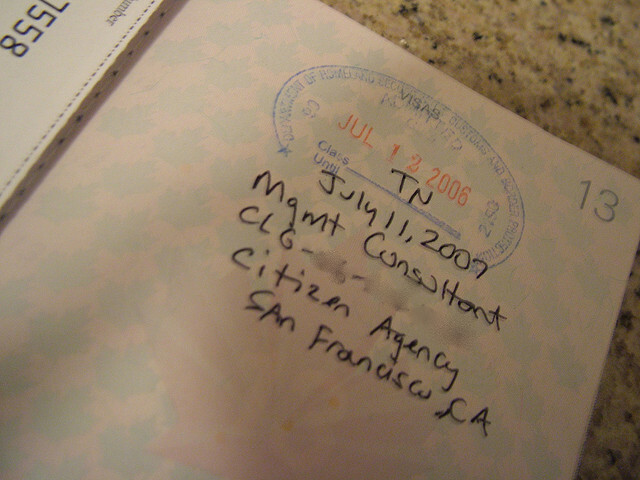 In late Friday afternoon of May 2, 2014, the client, a Canadian citizen, contacted our firm about applying for a TN visa as a Technical Publications Writer. A few days before coming to our office, he was denied TN status at the U.S./Canada Champlain border. According to the client, the border agent denied the application, after finding that our client had no experience as a Technical Publications Writer based on the documents presented at the interview. The denial was later confirmed by the CBP supervisor. The client contacted our firm and wanted to retain us to review his prior application documents which were all prepared by him and help him re-apply for the same position. During the initial communication, the client told us that he already booked an early flight on Monday morning, May 5, to re-apply for the same visa at the Montreal airport. In particular, the client was worried about the strength of his case and was concerned about lack of time for case preparation before his travel on Monday. To relieve his anxiety, the case was immediately assigned to an associate attorney at our office specialized in TN visa applications to ensure that the case would be finished in the same afternoon. Our attorney soon brought herself up to speed by asking the client for a copy of his prior application documents, including the employer support letter, a two year post-secondary degree in Commerce received from a Canadian College, transcripts, and a reference letter to verify years of experience in the field. Like H-1B visas, TN visas are non-immigrant visas issued to aliens who wish to work in the United States temporarily. However, unlike H-1B visas, TN visas are not subject to any quota and are issued to citizens of Canada and Mexico only, as NAFTA professionals. To qualify for Technical Publications Writer position, the applicant must at least have a Bachelor’s degree, or a Post-secondary Diploma/Certificate, plus three years of experience. The degree and experience must relate to the job applied for. See U.S. Customs and Border Protection NAFTA TN Eligibility Checklist, issued on April 24, 2014. After reviewing the documents, it became clear that the previous denial was issued largely as a result of the poorly drafted employer support letter, prepared without the help of an experienced attorney, as well as insufficiency of supporting documents. The old letter that led to the application denial briefly introduced the petitioning company, but failed to provide a detailed description of the proposed duties or the client’s qualification for the position. Under time pressure, we communicated back and forth with the client to find out the duties he will be performing at the proposed employment, his related experience in technical writing, have advised him to gather missing supporting documents, and managed to re-write the letter. Compared to the 1-page letter he had before, the new employer support letter was 5-page long and fully demonstrated satisfaction of all the elements required by NAFTA. In addition to that, we revised the client’s resume by highlighting his related work experience in technical writing, gathered missing supporting documents, and prepared exhibit pages to help client organize the supporting documents into one application package. All of these steps were completed in just 5 hours! After sending over the finalized documentation to the employer for signature, we prepared the client for border interview and made ourselves available over the weekend to answer any additional questions with regard to interview procedures. On Monday, the client came back to us with great news that his second application was approved at the border. -and length or period of proposed employment. The letter must be on company letterhead with original signature for each employer. 2. Be familiar with the contents of the employer support letter and the employer support letter should accurately reflect the position offered. CBP agents frequently ask applicants to orally explain his or her duties by taking away the letter. Problems arise if there are significant disparities between the duties described in the letter and the applicant’s oral description. 3. You should notify your employer that it is likely that CBP will contact them to verify your proffered position and duties and other conditions of the employment. We also suggest our clients to notify their employers of the possibility and make sure they keep a copy of the employer support letter and are available for a phone call from the CBP. 4. For first time TN visa applicants, you must bring your original degree(s), certificate(s) and original transcripts. If obtained outside of North America, you must provide accredited evaluation and English language translation. 5. For spouse and/or children applying for TD status as dependent(s), original marriage certificate, birth certificate(s), and adoption record (if applicable) should be presented. 6. Make sure you have a passport valid for the entire period of your proposed stay. Otherwise, the CBP agents may limit the visa to the expiration date of the passport. 7. Knowing the temporary nature of the visa, provide proof of ties to your home country to evidence that you have no intent to permanently reside in the U.S. Such documents include but not limited to: recent foreign bank statements, utility bills, deeds, mortgage statements, car registrations, insurance plans, tax returns, and family ties. 8. Avoid knowingly making false statements. Applicants will face a fraud or misrepresentation charge and can be subject to long term bar for entry into the U.S. if a false statement has been made in order to gain admission to the U.S.
9. Applicants should make sure that the information available on the internet does not contradict with the TN application. For example, applicants should not update their online public profile, such as LinkedIn, to indicate that they now work for the TN employer before they actually obtained the TN status in the first place, to avoid accusation of unauthorized employment. At last, if you have more questions regarding TN visa application, or would like to discuss your case with one of our experienced TN attorneys, please contact our office.